The offices of Harters solicitors closed down suddenly in January 2013. Now Paddy Power wants to open up there. Caledonian Ward councillors have opposed plans by the Paddy Power gambling company to open another betting shop on Caledonian Road. 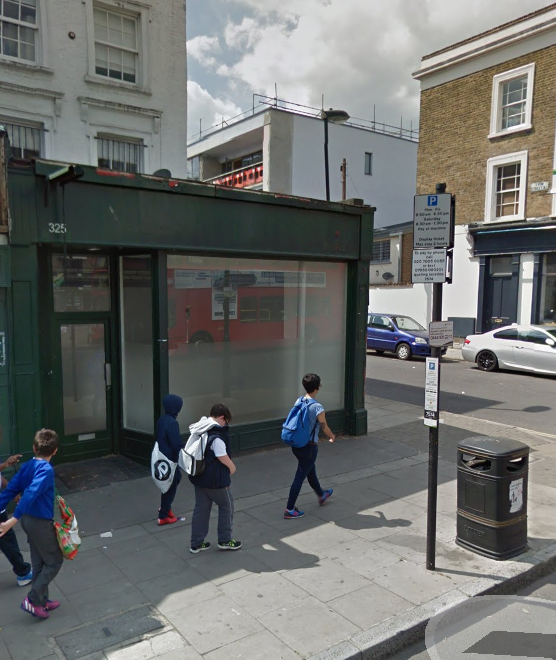 The premises at 325 Caledonian Road are currently a vacant shop/office on the corner of Lyon Street which is a short cul-de-sac. To open a new betting shop, Paddy Power has to get two separate permissions from Islington Council: a license and a planning consent. the high street already experiences high levels of crime and anti-social behaviour including a specific problem of on-street drinking and another gambling shop will exacerbate these problems. with two other betting shops in close proximity, this would mean a significant concentration of gambling premises contrary to the Council’s “saturation” policy. The Paddy Power company does not have a planning consent for the premises. Applications have been submitted for change of use, alterations to the building and for illuminated sign. Cally Councillors will be opposing these applications too.